Authentic And Affordable Tibetan Food In Koramangala! Missed this small and simple place amongst the hustling bustling city of Koramangala? Never mind, here we bring to you the Tibet in Bangalore, Momo Hut, a restaurant which serves freshly prepared authentic Tibetan food which are tasty and delicious like anything. Thukpas, Momos( steam and fried), Thenthuk, Phing and Tingamo, Noodles, Soup are the special servings along with the others of Momo Hut. They are available in both veg and non-veg variants. Non-veg includes chicken and beef. The serving amount is fulfilling. Chicken noodles ideally cost INR 120 and most of the items come well within INR 150. Our favourite is the Chilly Basil Chicken Noodles which explodes miraculously inside the mouth with its out of the ordinary taste and Thukpas noodles which is soupy and refreshingly yummy. The minimalistic quirky decor reminds us of homely vibes. So what are you waiting for? If you are from Tibet for love Tibetan food, you will be worth it. Planning to try world cuisines? For Tibetan cuisines, this is where you should start in Bangalore rather than flying to Lhasa. 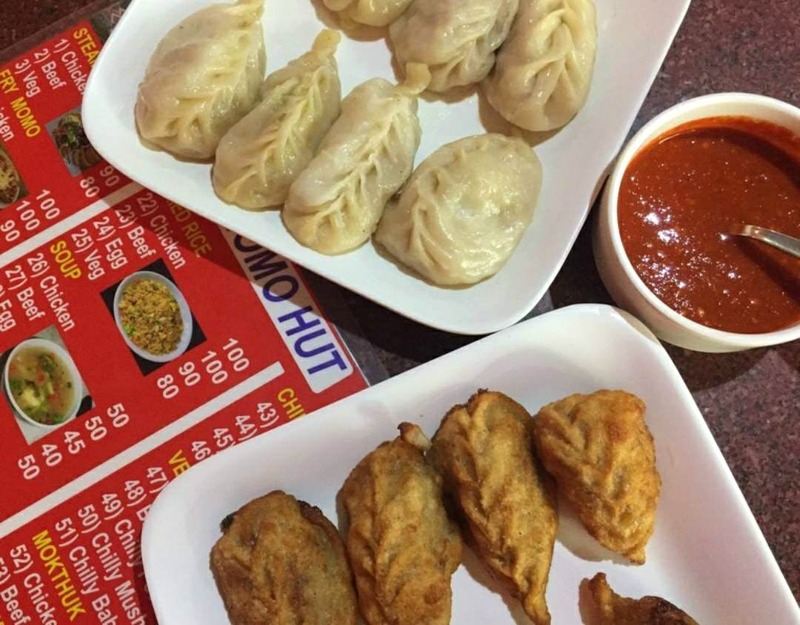 With the cheap price and good quality food, Momo Hut leaves no room for complaints. Only if it would have had a bigger space, it could manage the crowd in rush hours with efficiency.